This air-conditioned studio is located on the Banjol holiday resort on the island of Rab. The studio has 1 bedroom and 1 bathroom and is located on the first floor. On the balcony is a seating available. Here you can relax and enjoy the sunsets. 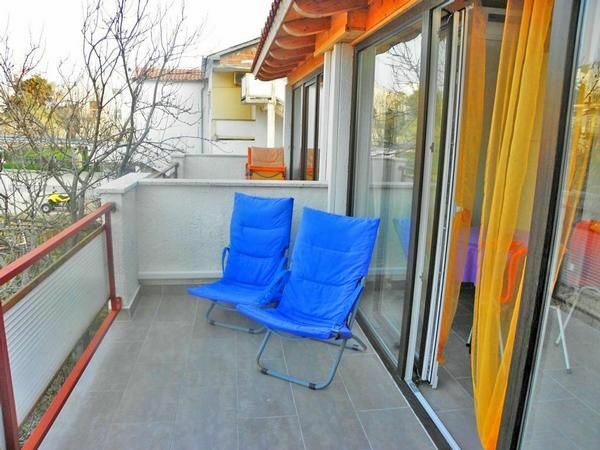 The shared terrace is also at your disposal. Here you also have a barbecue. The nearest beach is 150 meters from the house. A restaurant can be found 200 meters away. - Bootsanlegeplatz: per object and day Costs amounting to 8 EUR (optional).